Platelet Rich Plasma (PRP) refers to plasma enriched in platelets to provide a higher concentration than found normally. 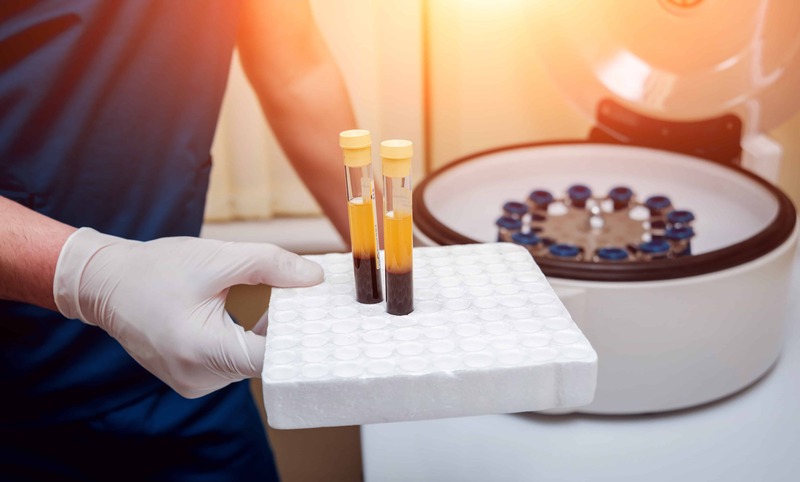 PRP is obtained by taking a blood sample and then spinning it in a centrifuge to separate out the various components. A centrifuge is a machine that spins the blood rapidly and depending on the size & properties of various cells, they settle into different layers. The red cells and white cells settle out and are not used as they are not the cells that produce cell regeneration or collagen production. In fact, it is important that they are removed, as they can produce inflammation instead of healing. The plasma rich plasma portion is a golden straw colored fluid. PRP is used in many different medical applications other than aesthetics for its beneficial healing effects. What is Selphyl® PRFM (Platelet Rich Fibrin Matrix) and how is this different? There are a variety of centrifuges available for this purpose, as well as collection tubes. We utilize the Selphyl® Centrifuge system with their customized tubes. The Selphyl® Centrifuge is specifically designed to separate out the layers efficiently and precisely to gather quality PRP. The PRP is then transferred within a closed system to a tube specially coated with Calcium Chloride. This initiates conversion of fibrinogen to fibrin, a part of our innate clotting cascade. This process creates a fibrin matrix which stabilizes the Platelets and allows a controlled release of Growth Factors to optimize their action and maximize results.